Tea Party in Mytishi, Russia. Seen them in Washington? The Tea Party gathering in Washington on Saturday, reports say, turned nasty. Rightists opposing President Obama's health reform shouted abuse and threatened passing Congressmen. 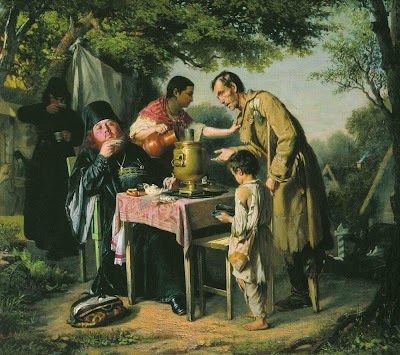 This well known Russian painting by Vassily Perov (1862), I thought, is a perfect visual expression of what the Tea Party movement stands for. Picture: Having Tea in Mytishi, Near Moscow (Чаепитие в Мытищах, близ Москвы), 1862, oil on canvas, 43.5 x 47.3 cm, Tretyakov Gallery. Monet's Sunrise. Is it a bird? 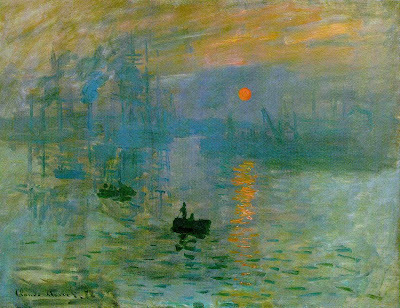 I thought I knew this Monet picture well (Impression, soleil levant, 1872). Painted in Le Havre in Normandy, it is sometimes described as the ultimate impressionist statement, it's iconic representation. 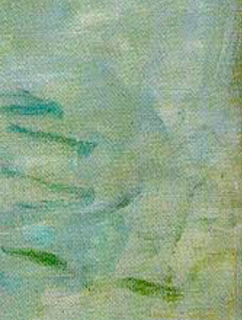 Now that I live in Normandy I understand better how much unique Norman light influenced the impressionist vision. But something started bothering me about this picture. Why there are no birds in it? There is always a bird somewhere in a Norman sky. 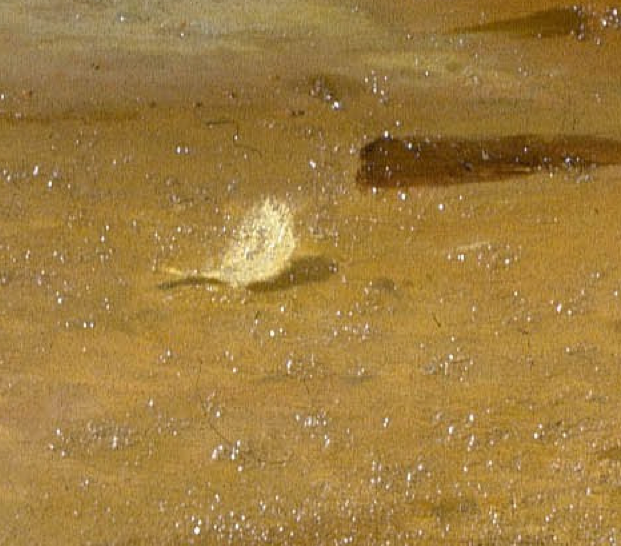 Then, at the bottom right corner of the painting, I noticed what seems like a bird, flapping frantically in the air.